How many trailers can actually be entered into a car show?? Well, Dave's can. 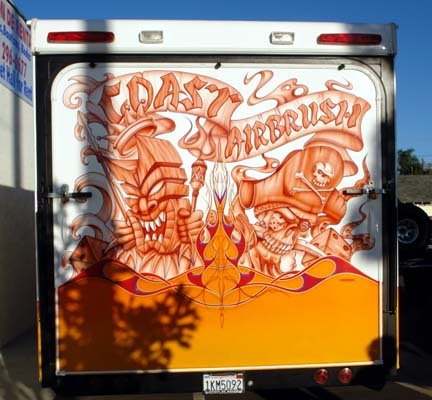 Check out the mural, and flamework done by VanDemon, and myself on the back of the Coast Airbrush Toyhouse! 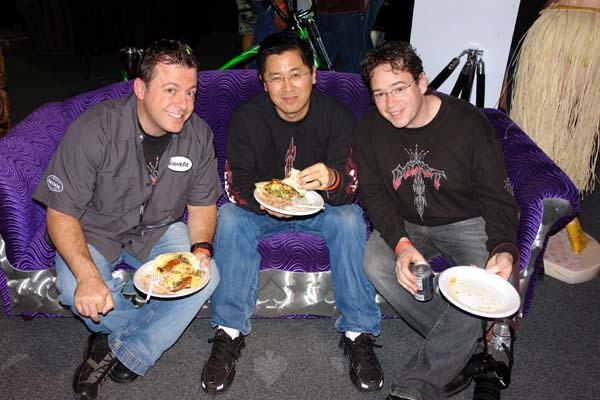 Tom Prewitt has been a fixture at the Coast Party for many a year. 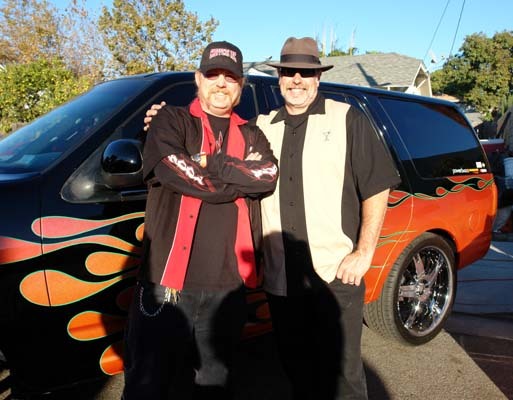 Here he is with his flamed out SEMA expedition. Brian Lynch, our favorite House of Kolor Tech expert, has found new and interesting ways of attracting customers to the booth. 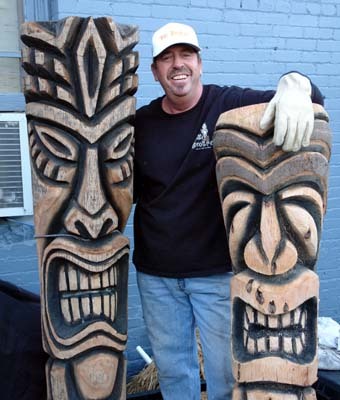 Tiki Ed was at hand with quite a few of his carved friends to satisfy everyones Tiki fix! 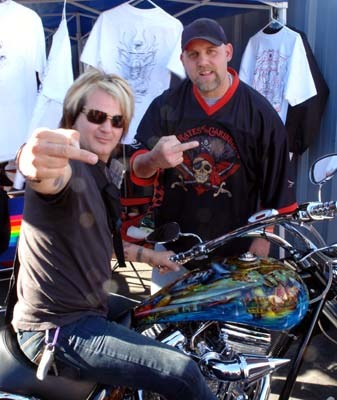 Rikki Rocket, and Piracy Bike owner Kevin Overturf are telling everybody that the CKK event is number one in their books!